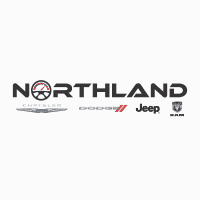 New Jeep Wrangler in Oak Park | Northland Chrysler Dodge Jeep Ram " "
$2,947 off MSRP! 2019 Jeep Wrangler Sport Billet Silver Metallic Priced below KBB Fair Purchase Price! $5,301 off MSRP! 2019 Jeep Wrangler Unlimited Sahara Bright White Clearcoat Priced below KBB Fair Purchase Price! $5,511 off MSRP! 2019 Jeep Wrangler Unlimited Sahara Black Clearcoat Priced below KBB Fair Purchase Price! Recent Arrival! $5,433 off MSRP! 2019 Jeep Wrangler Unlimited Rubicon Punkn Metallic Clearcoat Priced below KBB Fair Purchase Price!